MSA’s Islamophobia Panel is almost here! 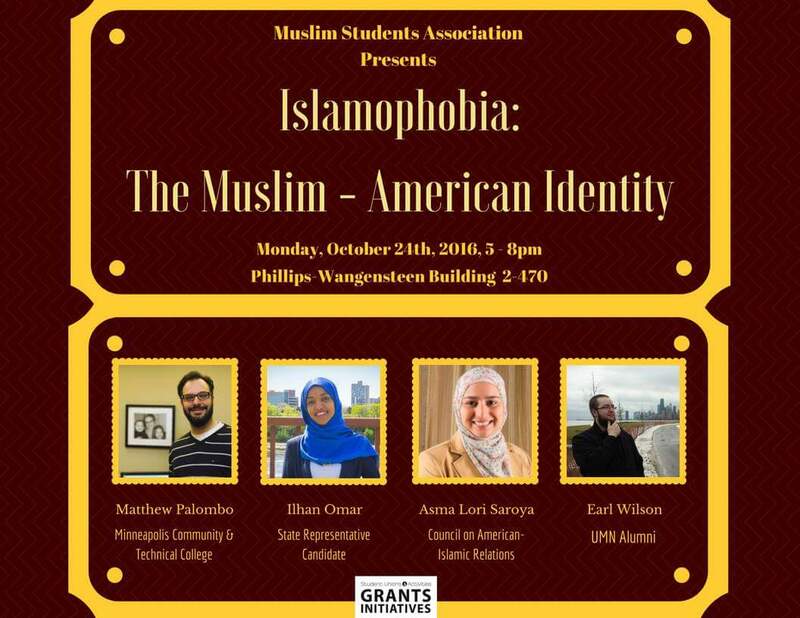 Come learn something new about Islamophobia in regards to the Muslim-American identity. There will be plenty of knowledge and insight to go around, and many answers to your questions. We encourage all to attend, as this is an issue that is broader that just the Muslim-American community. Simply put, you don’t want to miss it! Previous Don’t forget about Islam Awareness Week applications!